Update: Michael K won this draw. I am having another draw - see my blog post here. 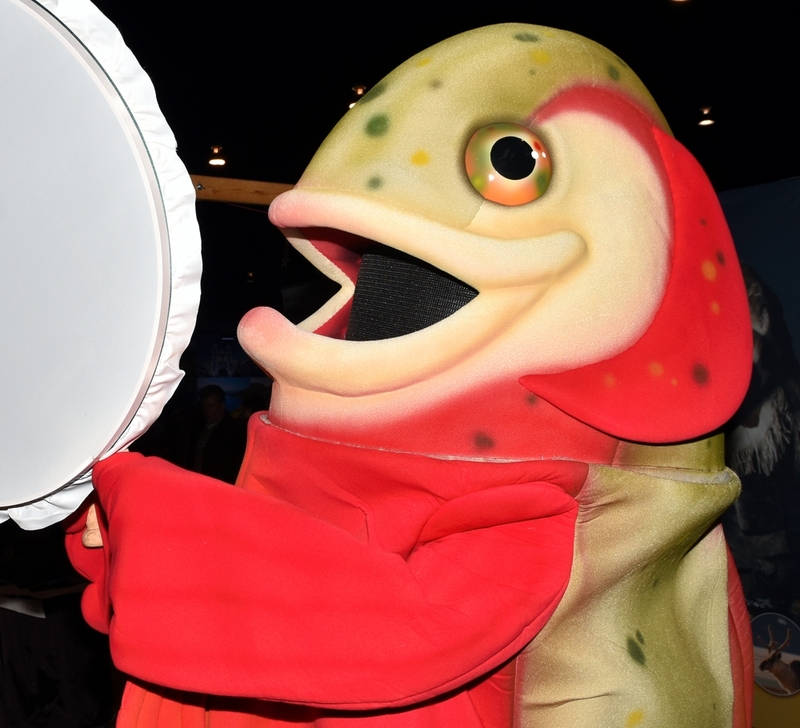 Don't let this @OutdoorAdvShow #contest get away - here is your chance to win a family pack of 4 tickets for the upcoming February 24-26th show at the International Centre. There are a couple of ways to enter and the odds are good! 2. Retweet this twitter contest post (https://twitter.com/jmhcet/status/826603764312313856) or DM me. I will make the draw and pick one winner on Saturday, February 11, 2017. I will contact the winner after the draw. Good luck and may your adventure await. Features for 2017 include White Water Demo, Travel Theatre, Junior Outdoor Adventurers, Climbing Wall, Special Guest Appearances, Seminars, Paddling and Underwater Adventures as well as a smorgasbord of top exhibitors like Swift Canoe and Kayak. I look forward to checking out the kayak equipment this year. and Sunday, February 26, 2017, 10am – 5pm in Hall 5 of the International Centre at 6900 Airport Road, Mississauga, Ontario. Admission: Adult: $14, Youths 12 – 17: $12, Seniors 60+: $12 and the Weekend Pass: $18. 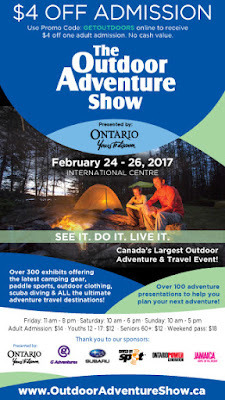 I've never been to the Outdoor Adventure Show, and I'd love the opportunity to check it out!! !